I deserve a foot rub and spa. I have spent most of the day at SIAL, a major food trade show here in Paris. Where most would take a few days to explore and negotiate the eight halls of food and drink (it shuts on Thursday), I have foolishly done it all in one day. Hence why I am trying to type and keep my feet elevated at the same time. SIAL is one of many food shows dotted around the world which is attended by the great and good of food retail. We’re not just talking major supermarkets, but also department stores, airlines and speciality food retailers. There is a potential for a lot of business to be done, and consequently many countries make a point of investing heavily in stands (yes that means you, Turkey). 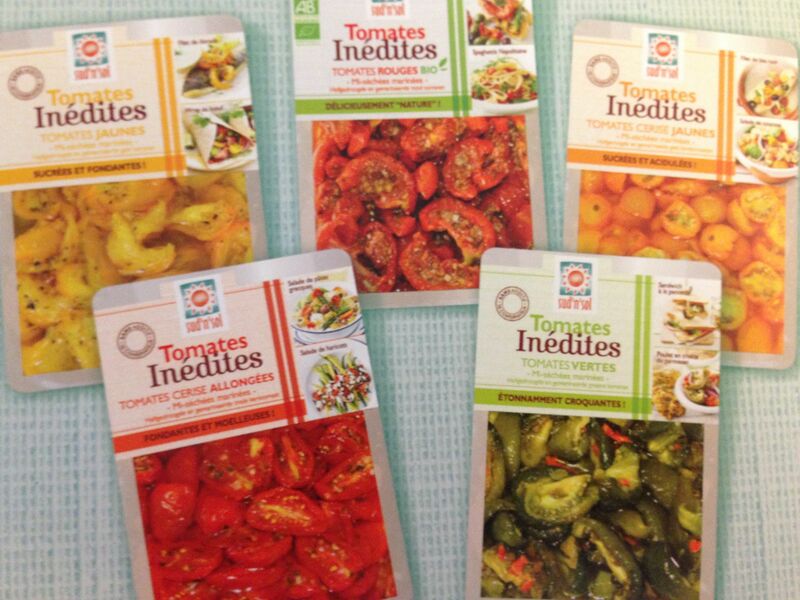 Based in Agen, this company specialises in a range of typical Mediterranean vegetables. Launched for the show, are a range of 5 semi dried tomatoes. While these in themselves aren’t new, I think this is the first time that I’ve seen green ones, in this case with a piquant kick to them. Erhard is an artisan ice cream maker. Years ago, when I was the buyer for Frozen Food at Harrods, I wanted to try and bring them to London. 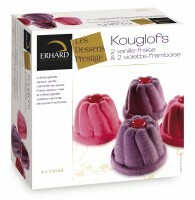 Sadly, I didn’t manage it, but with beautiful creations such as these individual Kouglof of Violet and Raspberry, maybe the current buyer will have a go? 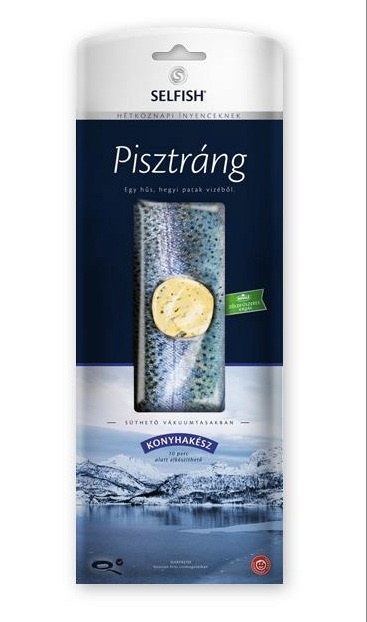 Picked partly for the funny name, this Hungarian seafood brand offers a range of pre packed fish that are ready to cook either in the oven, microwave or pan. The oven ones are quite interesting in that you don’t even need to open the tray – just pop in and they’re ready in 10-12 mins. 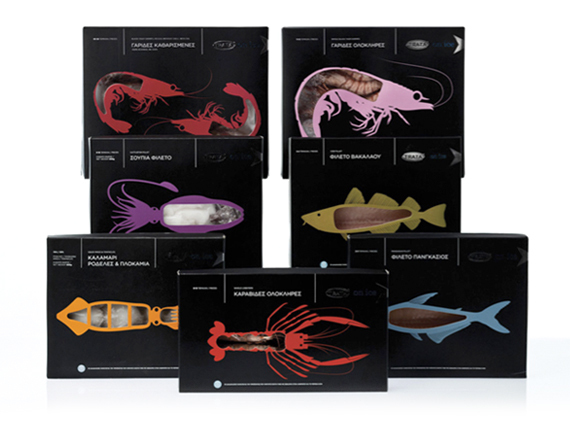 Simply beautiful packaging for what is essentially, frozen fish. 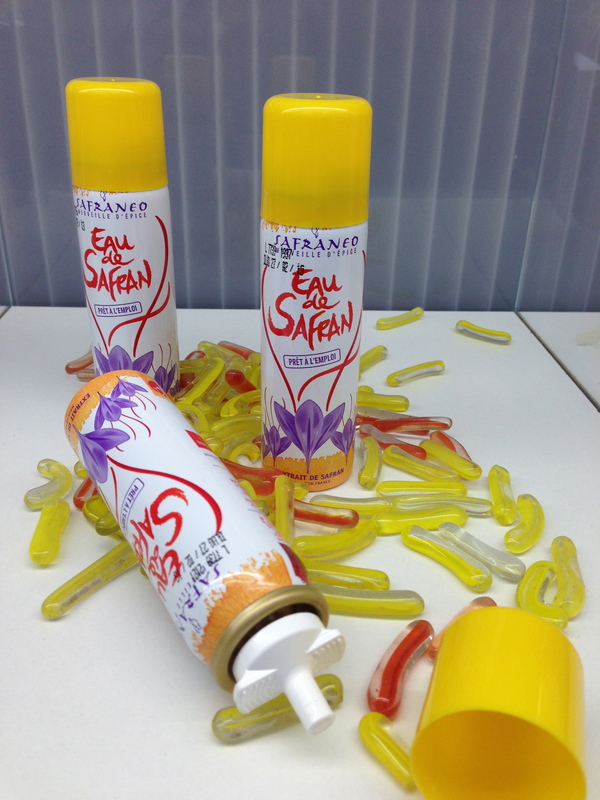 Saffron in an aerosol – basically a precise dose of Saffron dissolved in water, which means that you no longer have variable colour and flavour if you’re trying to make the same dish several times over. 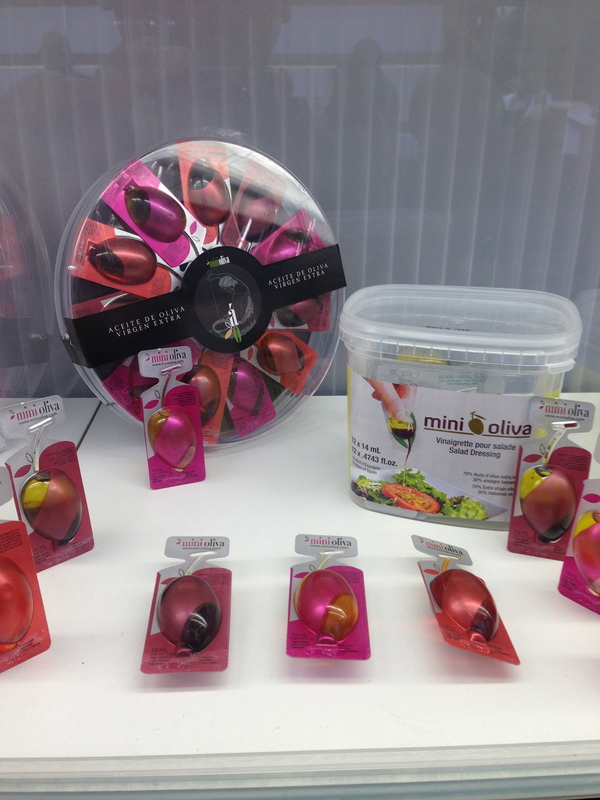 These cute little packages are actually olive shaped salad dressings in single serve portions. Aloe based drinks were all over the show, and from producers from around the world (not just the orient, where it first became popular). 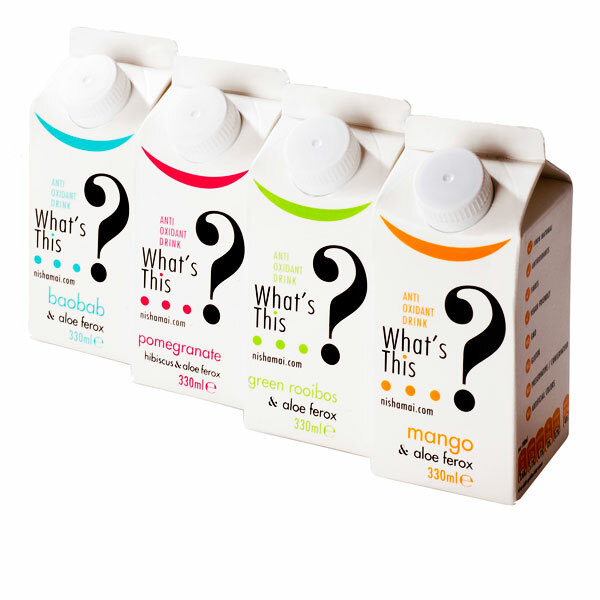 Nishamai is a range of healthy drinks based on Aloe Ferox, grown wild, freshly cut, and mixed with fruit juices giving a naturally high level of anti-oxidants. Nishamai is frpm the fusion between “Nishati” meaning “Energy” and ”Maisha” meaning “Life” in Swahili. All ingredients are from South Africa, and are fully produced locally, since the Aloe Ferox plant only grows in the western Cape area of South Africa. The Aloe Ferox plant is known for its high-energy rate , and its regenerating properties , it contains two times as much amino-acid than the Aloe Vera plant. Aloe is generally used for its soothing, healing and moisturizing effect on the skin. The aloe ferox has a high percentage of soluble dietary fibre. 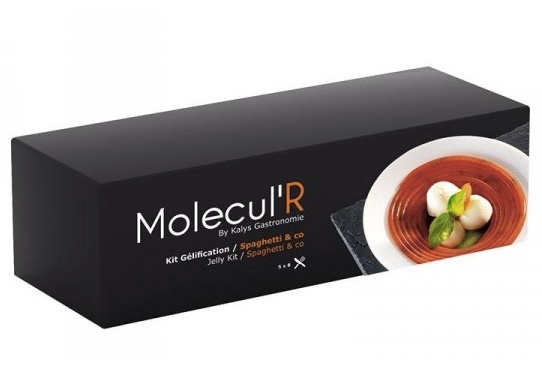 A one stop shop that has a whole range of equipment and stuff that you would need for Molecular gastronomy. Not exactly ground breaking, and arguably a little old hat now, but I liked the range the offered, and how it was presented. Marlette offers a variety of delicious sweet and savoury baking mixes (as well as gluten free versions) that are easy to make at home. Created by two sisters, Margot and Scarlette, from their native island, Île de Ré. 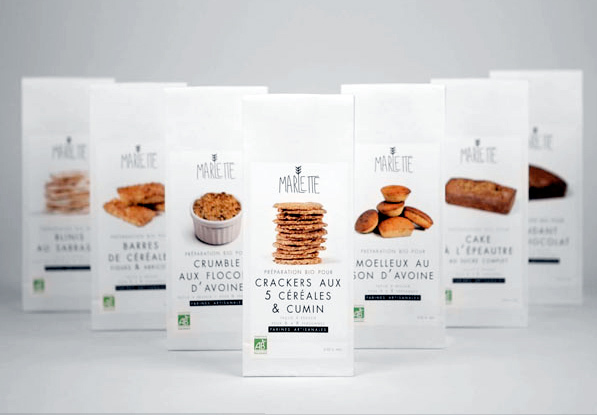 The range is currently sold in Le Bon Marche, and is actually from the same group that created LOV Organic. Well what can I say? I was feeling very tired having trudged around so many halls with lots of stuff that was frankly unremarkable, when like an oasis in the desert, these crisps appeared before me. We in the UK are very fond of fancy crisps (and I should know – I was the first buyer to stock Tyrrells crisps when I was at Selfridges), and each year the snack category increases with more and more brands coming on to the market. 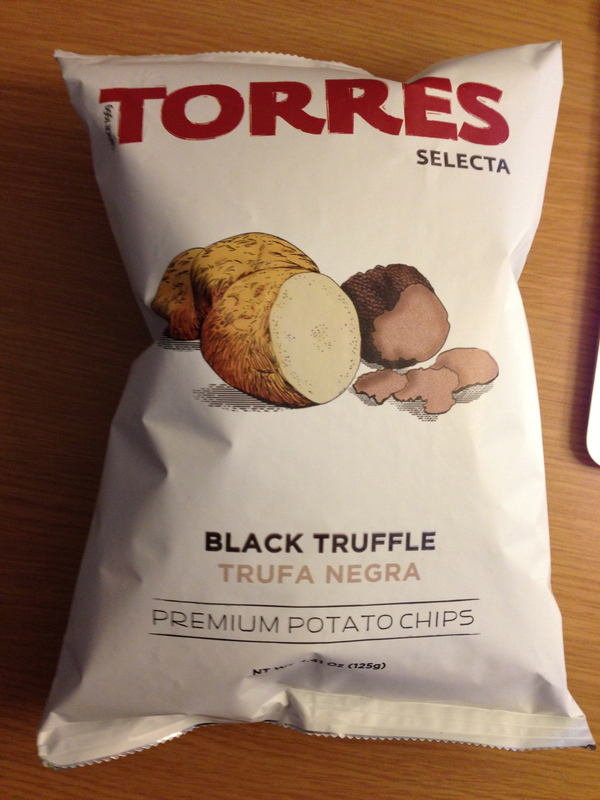 Yet these are something else – maybe it’s the very adult and niche flavour (made using dried black truffles as opposed to artificial flavouring), but I think these are fantastic. And if nobody brings them to the UK, I think I’ll have to make it my mission to. Next Post Balsamic comes of age.